Click on the tabs below for all the latest news from Slimtone. 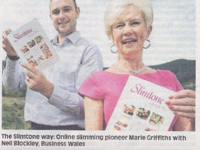 Click here to read this special feature at Wales Online as Marie celebrates 35 years of success at Slimtone. 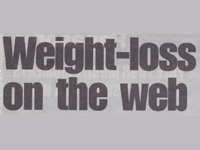 This article also appeared in the Glamorgan Gazette and South Wales Echo. 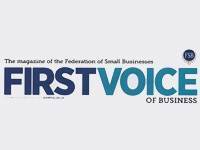 Slimtone article in First Voice, the magazine of the Federation of Small Businesses. Marie Griffiths of Slimtone celebrates 10 years as a Welsh Government Dynamo Role Model. 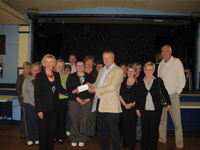 Slimtone is very much part of the local community and has supported many good causes over the years. 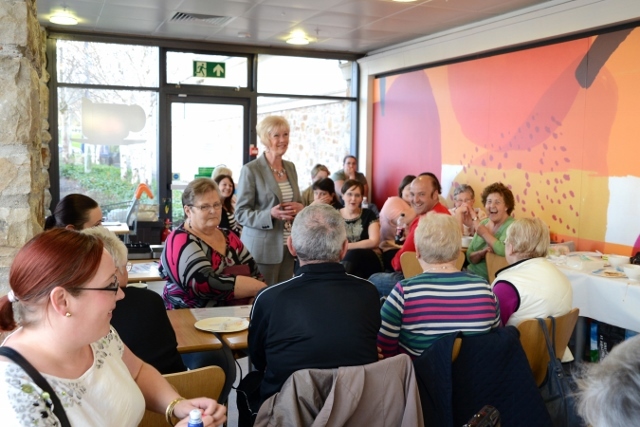 As Marie celebrates 35 years of success at Slimtone, she also celebrates being part of the local community. 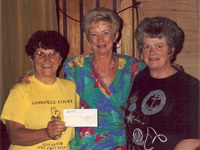 Marie and Slimtone members have raised over £50,000 for local charities. A fantastic achievement – thank you everyone! Marie recently presented a cheque to Ty Hafen Childrens Hospice for £912.30. This makes the total donated to local charities by the Slimtone members of £34,000 (Thirty four thousand pounds). Thanks to everyone for their generosity in making this possible. Donation to Jane & Rhodri: Thanks to all the ladies who kindly bought raffle tickets during our May visit to Champneys Health Farm. 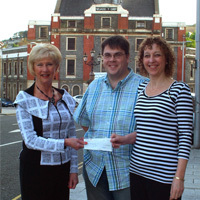 A cheque was recently donated to Jane and Rhodri from Maesteg who are raising money to make a sponsored trek for Alzeimers. A total of over £110.00 was collected with special thanks to the Craig Barber Memorial Fund who helped with the raffle prizes and made a kind donation. With the generosity of Slimtone members we have now collected nearly £35,000.00 for local charities. Since the launch of Slimtone a total of over £34,000 (thirty four thousand pounds) has been donated to local charities. Thanks to the generosity of members who are no strangers to fund raising having participated in sponsored slims, raffles and even to the painful experience of a sponsored “Back Wax” by one of our male members. Generous donations have been made for equipment in hospitals, cancer hospices, diabetic units, Easter Egg appeals, Christmas gifts to the under-privileged children to name just a few. 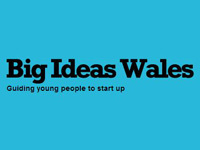 We have included a small selection of our presentations to these worthy causes. The Pen Is Mightier Than The Sword…. When Slimtone members were made aware that the children of The Gambia were desperate for pens to attend Bakoteh Primary School they immediately started collecting from friends and family. The results were amazing with over 5,000 pens being donated. In a country where owning your own pen is a pre-requisite of attending school, this small possession, so taken for granted in our own world, is often the difference between prolonged poverty and a means to gaining some degree of freedom through education. The Simtone members were supported fantastically by Debbie Thomas, seen in the photograph, who used her influence in the airline to provide the crate in which the pens were delivered. Also pictured are the many carrier bags waiting in the school to be claimed by the grateful students. The special “Thank you” photograph takes pride of place in the Slimtone office. 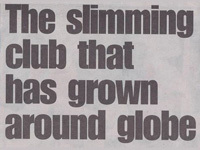 After reading in the local press that Sandville Self Help Group needed a lift to assist the patients gain access to their new pool, Slimtone members, supported by Marie, decided to rise to the challenge and organized a four week “Sponsored Slim”. Their hard work and dedication was well rewarded and between the participating members, an amazing £675 pounds was raised. This was supported by Sandville volunteers, who also took part and donated a further £385.00. Overall a total of £3,626.86 (three thousand, six hundred and twenty six pounds) was donated towards the purchase of the lift.